If you require mold removal services in Duluth, Georgia, you can rely on Abatement Solutions. We offer mold inspection, remediation, and prevention services for a diverse range of residential and commercial clients. 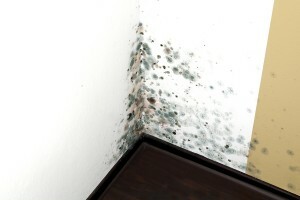 If you have seen black spots that look like mold, noticed a moldy smell, or recently experienced a water leak, we can determine whether you have a mold contamination in your building that might threaten the health of its inhabitants. If you do have a mold problem, we will propose a free estimate on a course of action that will make your home or business a safe environment once again. As a full-service mold removal company, we also offer reconstruction services, in which we rebuild any mold-damaged drywall, baseboards, flooring, or other damaged surfaces to properly restore them to their condition prior to the mold contamination. We can even apply innovative mold prevention coatings to any unfinished surfaces in your building to keep hazardous mold growth at bay in the future. Experienced team of Certified Mold Remediation Contractors – Our staff has extensive experience in all aspects of mold removal, including inspections, water extraction, mold remediation, mold prevention, and reconstruction. We have the comprehensive expertise needed to handle any type of mold contamination, whether it exists in your living or working area, crawl space, attic, basement, or anywhere else. Effective mold remediation methods – We utilize industry-recognized mold removal techniques to make your building a safe environment. This may include using containment barriers to quarantine the mold growth, air scrubbers to remove mold spores from the air, an advanced peroxide cleaner to remove mold stains and odors, and a powerful low-VOC disinfectant to kill any remaining mold spores. Clean air sample guarantee – After we perform mold remediation work in the living area of your building, we’ll have an independent inspector test air samples in the affected areas to provide you with objective confirmation that we have rid the space of hazardous mold contaminations. To learn more about the mold removal services we offer in Duluth, GA, contact Abatement Solutions today.